Magna's complete vehicle assembly segment rose more than threefold to $1.66 billion. Magna International posted record net income of $660 million in the first quarter, up 14 percent from a year ago. The supplier also reported record quarterly sales of $10.79 billion, up 21 percent year-over-year, due in large part to the company's contract assembly business. Magna recorded higher demand for its mirrors and electronic components. The supplier's power and vision division posted adjusted earnings of $358 million, up $30 million over the same quarter last year. It was the biggest adjusted earnings increase of all of its four divisions. While Magna reported sales growth in each of its operating segments, the company's "complete vehicle segment" contributed to approximately 60 percent of the sales increase. 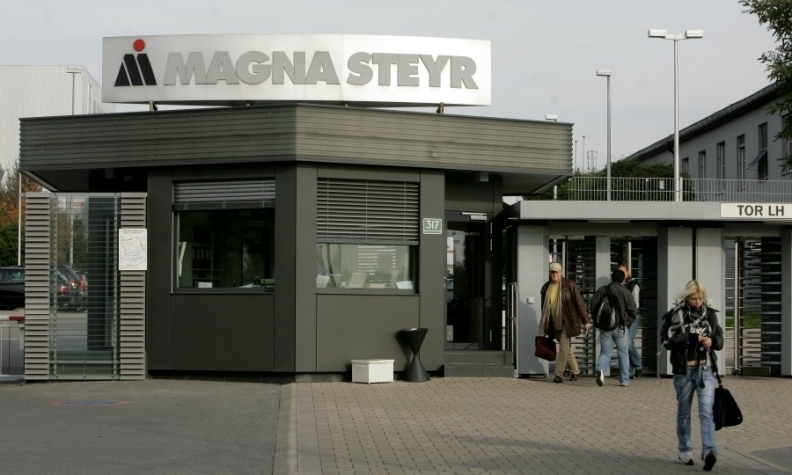 Sales in that segment, which sees Magna assemble cars under contract for automaker at Magna Steyr, Austria, rose more than threefold to $1.66 billion. The company was able to post record numbers despite a 4.4 percent decline in light-vehicle production in North America and essentially unchanged production numbers in Europe when compared with the first quarter of 2017. Light-vehicle production in China was up 1 percent. "Our operating results are primarily dependent upon the levels of North American and European car and light truck production," Magna said in a statement. Sales were up in Magna's body and structures ($4.61 billion), seating systems ($1.47 billion) and power and vision ($3.19 billion) divisions. In December, Magna realigned its divisions and created four global product segments. This was the first time the company reported quarterly sales and earnings for each unit.